Lithium is a highly poisonous psychiatric drug and is cumulative in the blood. It has to be monitored very closely. If taken in excessive amounts, it has a effect of cardiac standstill. 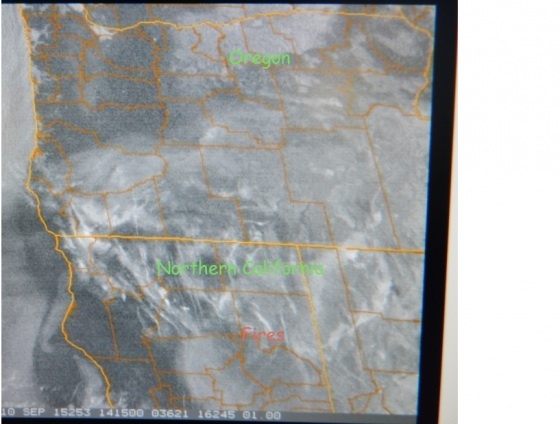 In January 2015, I began receiving reports by email, telephone and over Facebook of very specific symptoms from very specific locations under very specific spraying activity throughout Oregon. From my experience as a counselor, having had to do an internship for drug rehabilitation many long years ago, I instantly recognized that the symptoms were being caused, almost certainly, by lithium intake. How could so many people be suddenly dosed up on lithium? And then it hit here in Reedsport, a tiny town on the central coast of Oregon. I had no more doubt. I posted my findings on the various FB pages. In direct response to these posts, the first letter from the whistle blower arrived on January 30, 2015. I at first thought it was another letter of complaint from someone who thought I had the solution to the horrors of Geoengineering. Instead, the letter is the real thing. For six months, I respected the danger this person, who uses the pseudonym ‘Locke’, was putting himself in and I was very discreet about who saw the letter. And I was very discreet in putting messages on the FB sites to confirm to Locke that I was working on his message. I used the letter as a teaching tool and it was very effective. Either readers were completely convinced of what is happening in Oregon or they went into horrified denial. The Geoengineering activists to whom I sent the letter almost always dismissed it, ignored it or immediately responded that they couldn’t do anything about it. This was very disappointing until I realized that the atrocity of Geoengineering and these experiments is on such a vast scale that each of us is struggling to fight in our own corner with very little mutual support. That being said, I finally sent the letter to Elana Freeland (author of Chemtrails, HAARP and the Full Spectrum Dominance of Planet Earth). She pointed out that despite Locke’s fears for his family, he is desperate to get the information out to the media, social media and beyond. So shall it be. A second letter has surfaced which I will quote from. It was received by HH in Medford around the first of March. Locke expresses his disappointment that the activists he had contacted never responded. Having had essentially the same non-response, I understand his frustration. So, after much research to back up Locke’s disclosures, here is the pertinent information from the whistle blower. His private information will remain private. We can deduce from his excellent use of English and from his job description that he is well educated in a science field. Probably a DSc or PhD, he is most likely in his late 30’s or early 40’s, and is equally at home outdoors as in a lab. His use of the name Locke indicates he knows American history. The original John Locke created the concept of the social contract and whole portions of his writings were copied into the US Constitution. Our ‘Locke’ lives in central Oregon but travels the state extensively. He enjoyed his work up until it was subsumed for what he is describing. 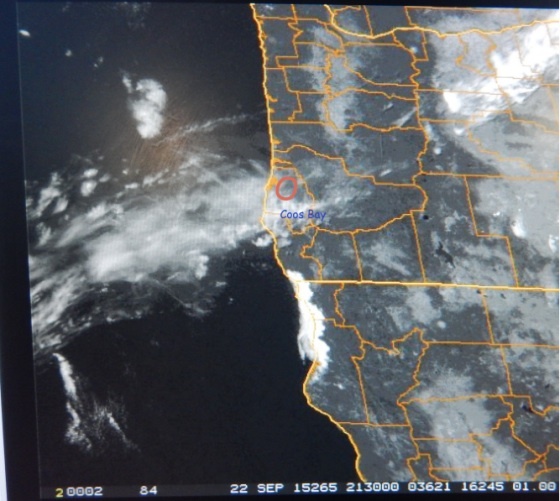 “For example, I could have warned thousands of people of the ongoing (as of January 27th) spraying to manufacture air stagnation in the Rogue and Umpqua Valleys, as well as much of the Oregon Coast south of Florence. The artificially induced period of air stagnation is part of a larger experiment testing the efficacy of psychoactive chemical dispersal from high altitudes. Currently, spraying is most intense along the coast itself and above inland valleys. The stagnant air currents in the region allow for more direct application of psychoactive agents to test populations. I have little formal contact with the chemistry department, but to my knowledge Lithium is the primary substance being dispersed in the aforementioned experiment. Given the psychoactive/social nature of the ongoing tests, my department is playing a secondary role collecting water and soil samples. The Sociological Research Division however, has operatives throughout the region gathering a massive amount of data regarding the test population’s behavioral traits, like consumer habits, political engagement levels, and awareness of geoengineering programs. Note that ­ THREE YEARS. What he says is part of the picture of what is happening on a global scale: a complete absence of morality. Without compunction, these experimenters are capable of killing subjects with side effects or by doing an LD (lethal dose experiment). So here are the facts: For three years, up until July 2015 the small towns on the south coast of Oregon: Reedsport, Bandon, Brookings as well as the Klamath Basin and Rogue Valley’s small towns are being used to test lithium and psychoactive compounds on a regular schedule and have been used for such for the last three years. Soil samples are taken and social interviews carried out, and one can assume, medical records which are now computerized, are monitored. In July 2015 I began receiving reports from observers of symptoms other than from psychoactive compounds. The symptoms indicate an application of a pathogen (disease) component most likely correlated with the use of certain electromagnetic frequencies. This has happened before during the last three years when a round of severe diarrhea was reported, almost entirely in women and female dogs (October ­ November, 2014). (C4 -command, control, communication, cyber warfare). At first I didn’t realize what I was seeing: hundreds of thin chemtrails throughout a lithium haze. Despite fairly high winds, the haze, with newly applied daily lines, stayed in one spot for days. 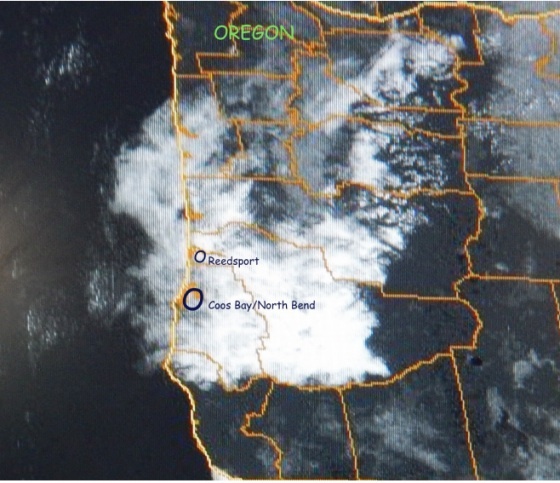 On Monday, September 21st, directly over Reedsport, my town, there was a little square cloud that had been placed there from a storm system up in Idaho. Despite offshore winds and the usual breeze along the Umpqua River valley, that square cloud stayed in place all day like a message seeking recognition. The next day, Tuesday, September 22nd, which is when I travel to the Coos Bay / North Bend, Oregon area to teach Tai Chi, the Geoengineers hit full bore soaking the area in lithium and some sort of psychoactive compound. Let me explain that I had considered this kind of action to be nearly impossible because of the terraine of this area. It is wide open with vast bays and rivers and the ocean to the west, and always strong offshore winds every afternoon. Yet, here was an obvious haze application directly and very low over the entire area and it was holding in place. I wasn’t the only person experiencing vicious and intense symptoms. When I got home, I caught the radar image. It was exactly the same technique as was used over the fire zone in northern California. Elana Freeland (author of Chemtrails, Haarp and the Total Spectrum Dominance of Planet Earth) wondered if the multiple fine chemtrail lines of aluminum or some other conductive metal interacting with the lithium for military communications (C4 ­ command, control, cyber warfare, communications). By that evening, I was receiving FB messages from Eugene, Portland and Vancouver, BC of cases of severe chest congestion, coughing, sinus pain, headaches, extreme muscle pain, lethagy. Reports were also coming in of crazy behavior and wild driving. Locke was right. The experiment over the small towns in Oregon seems to have been successful and is now being used all along the west coast of the U.S. Without a doubt the rest of the world will experience the use of this technique very soon. This is far more than global weather manipulation. The only reason such experimentation can happen without massive uprisings is because of the thorough disinformation campaign and behavior programming we are subjected to. Anyone in the public health field should instantly see that the patterns of these symptoms have no correlation to any known disease vector. Hopefully this article will be the stimulus to investigate and take action. WHAT SIDE EFFECTS DOES LITHIUM HAVE? Lithium (Li) is the softest of all metals and is an alkali metal. It is relatively inexpensive to mine as it is fairly common. Lithium, refined, is highly reactive and flammable. Lithium will ignite and burn in oxygen when exposed to water or water vapors. It is HIGHLY conductive of both heat and electricity, which is why it is used in batteries. 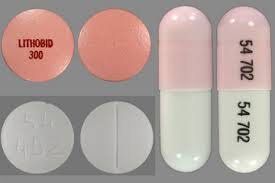 First and foremost, lithium is an FDA PREGNANCY CATEGORY D drug which means, even in very small doses, it causes birth defects, most especially of the heart. Lithium also passes through breast milk and will harm the baby. Although the many websites which list the uses and warnings of lithium as a drug often divide the symptoms into COMMON SIDE EFFECTS and DANGEROUS SIDE EFFECTS, these effects are only gradations. The toxic dosage is small and each person is affected differently. For some individuals, even the smallest dose of lithium as a drug can be highly debilitating and some people react allergically. THERE IS NO ANTIDOTE FOR LITHIUM OVERDOSE OR ALLERGIC REACTION. First and foremost ­ LETHARGY. You feel heavy and drugged. THIRST. You can become quickly dehydrated especially if overheated. STOMACH DISTRESS including both diarrhea and constipation. TWITCHING of hands and head, sometimes of the whole body. LOSS OF appetite. You can’t taste your food. ‘IMITATION’ GOITRE. Looks like thyroid malfunction but isn’t. ENDROCRINE DISRUPTION CAUSING SEVERE MENSES/PERIODS. Stomach swells up as if you’re pregnant. KIDNEY PAIN as the renal glands become dysfunctional. Here are just two links to the symptoms of Lithium as a drug. There are many, many more.